The set of Calmia resistance bands contains 3 oversized bands with different resistance levels: one light, one medium and one heavy. The bands can be used for both upper and lower body exercises and they will direct your focus at the abdominals, biceps, triceps, shoulders, back or other muscle groups. The bands are handy as they can serve as a tool for warming up before exercise, as a part of exercise routines and drills and for rehabilitating muscles and joints after injuries. 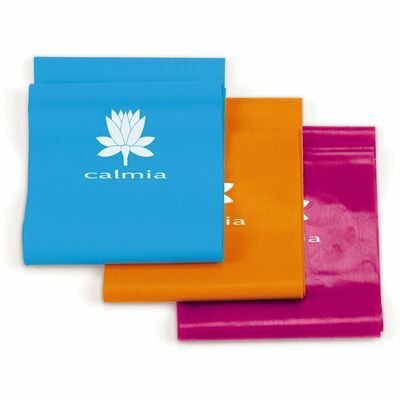 for submitting product review about Calmia Resistance Bands Set.